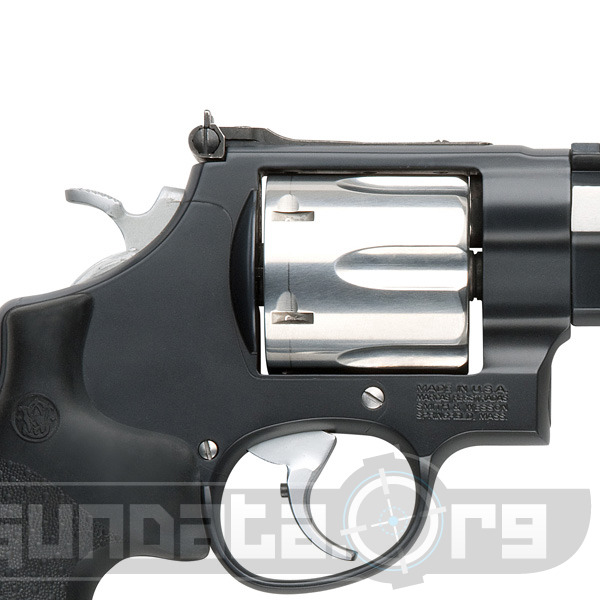 The 629 - .44 Magnum® Hunter is a .44 Magnum pistol built for hunting. What? Hunting with a pistol, that's blasphemy right? Handgun Hunting is really geared towards those people who want to push the hunt a bit further. It requires a bit more skill, while at the same time providing freedom of movement without the restrictive rifle/sling combo. The 629 - .44 Magnum® Hunter comes with a red dot optical sight, a chrome hammer, chrome trigger, and a bad little muzzle brake that made the gun scream intimidation. Any time you have a muzzle break on a pistol it just looks mean as hell. 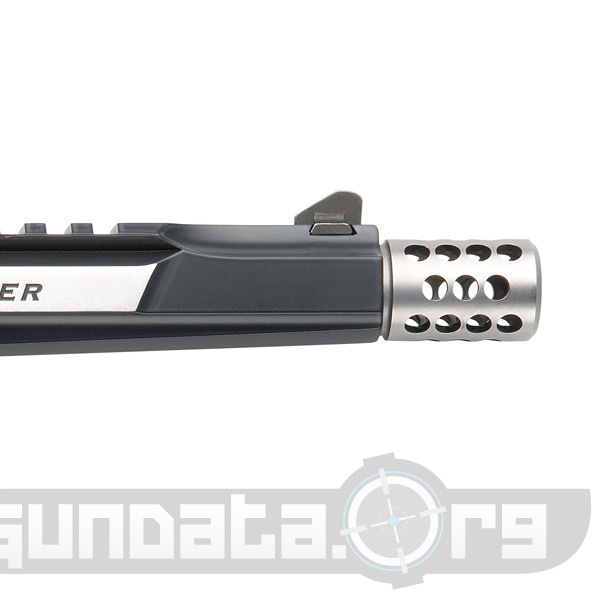 This gun is built using amazing quality control, and with an MSRP of $1,329.00 it better be. It has a synthetic grip, stainless steel frame, stainless steel cylinder, and nice black/silver two tone finish. 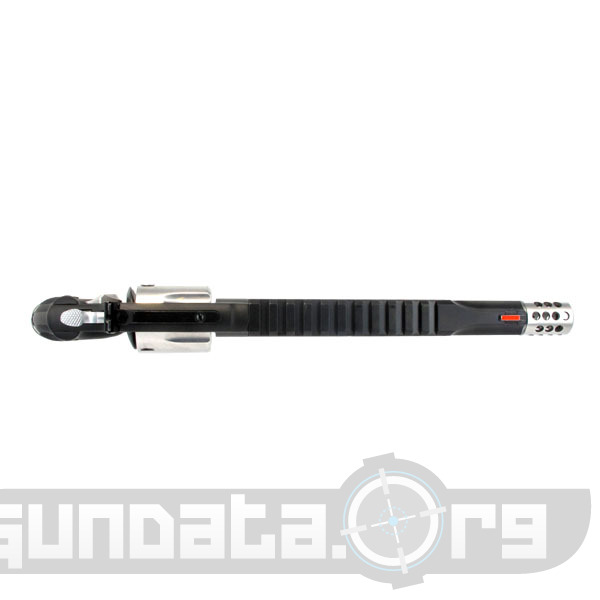 It weighs in at 57 and 1/2 ounces, is 14" long (over a foot), and has a 7.5" barrel. There has been some discussion in regards to the length of the barrel and how it correlates to accuracy, some people say it doesn't matter in such a short gun like a pistol, but I grew up hearing that the longer the barrel the more accurate the gun so I’m guessing there is some merit to this. While this gun is geared towards the handgun hunter, it also makes a seriously intimidating home defense pistol by just it's look alone. What do you think? Post your reviews and comments below and give us your feedback on the Smith & Wesson 629 - .44 Magnum® Hunter.